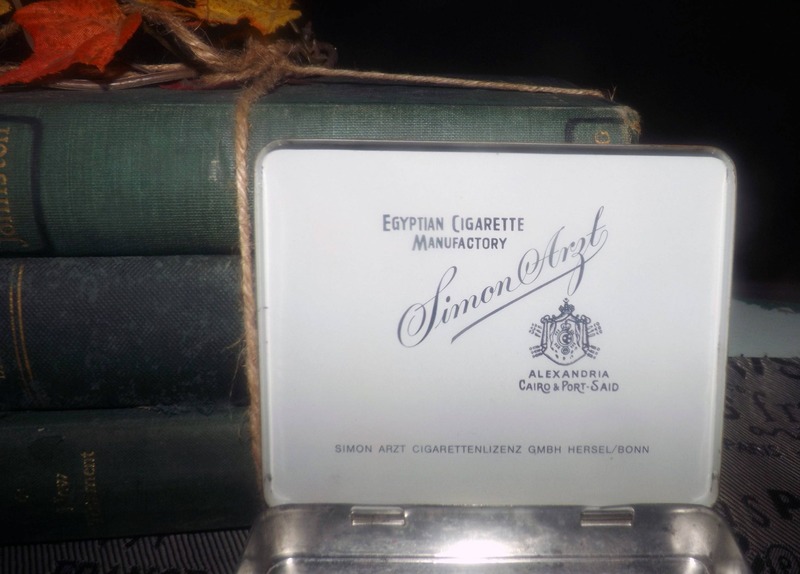 Mid-century (1950s) Simon Arzt No 70 large-size cigarettes tin. 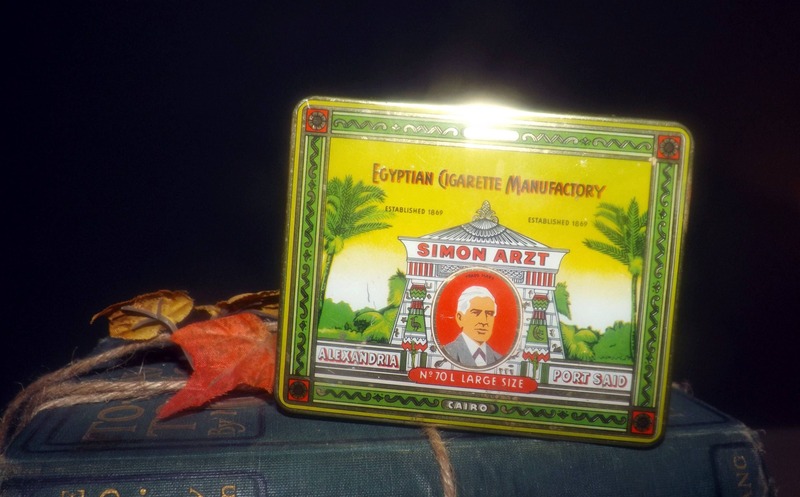 Egyptian Cigarette Manufactory. 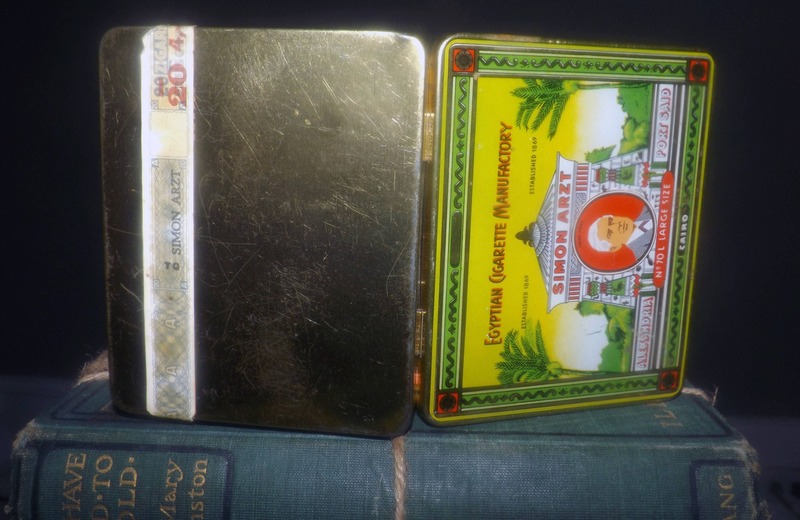 Original tax labels intact. 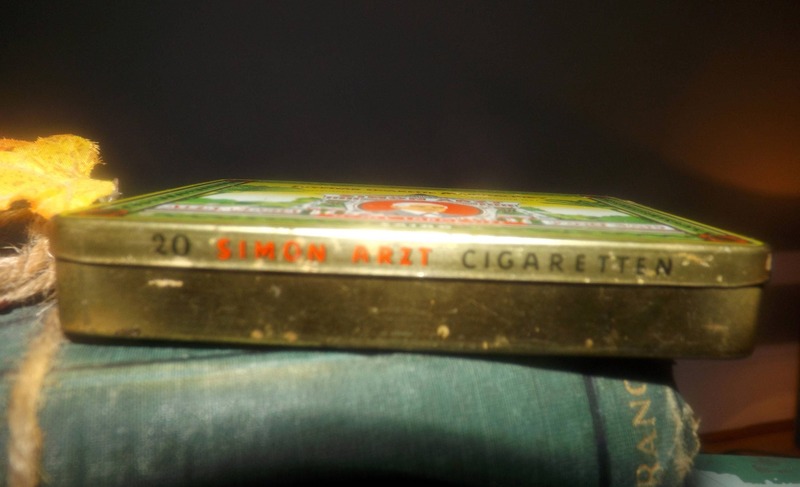 Mid-century (1950s) Simon Arzt No. 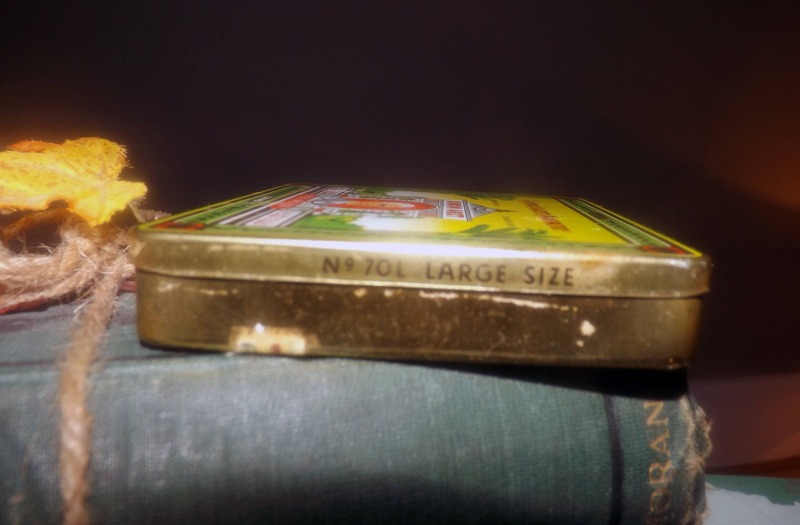 70 large-size cigarettes tin. 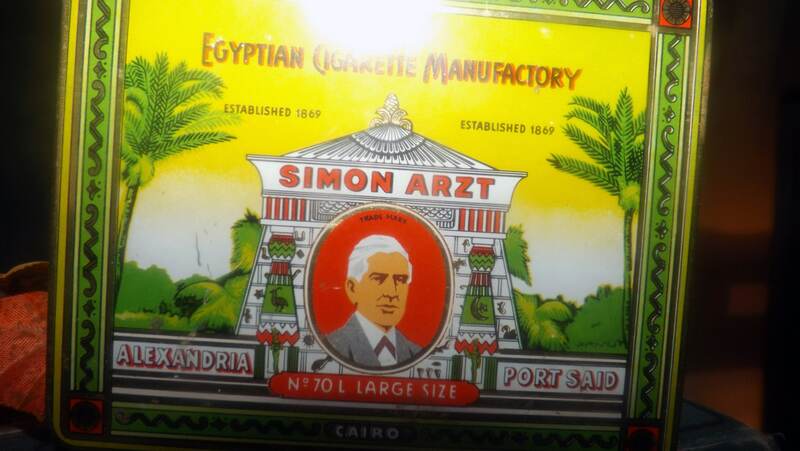 Egyptian Cigarette Manufactory. Original tax labels intact. 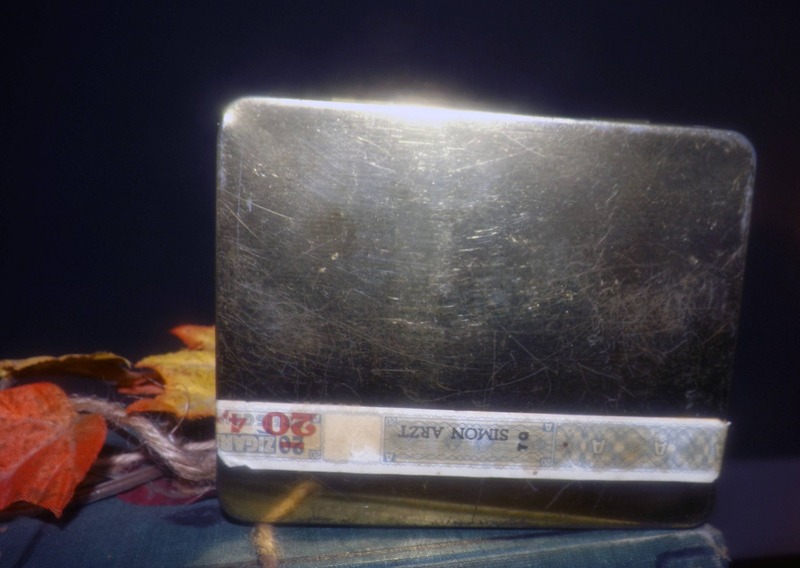 Originally held 20 No. 70 cigarettes. In EXCELLENT! condition with NO! dints or dings to the metal and NO! rusting inside or out. The inside of the tin is clean as a whistle! There are several LIGHT! scratches to the tin. All text is clear and legible, including the tariff labels and all imagery is bright and vivid. 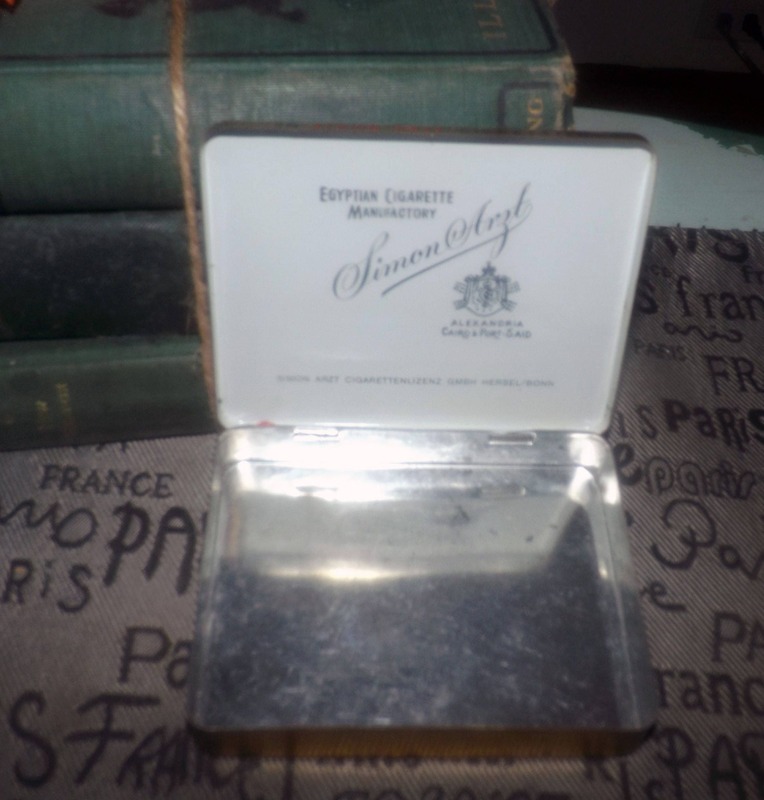 Approximate measurements: 5" x 4-1/2" x 1-3/4" deep with a hinged lid.